For those of you who remember from a previous post, Meteora is a place I've wanted to visit for many years. I finally had the opportunity to go in May after working on the Sea Cloud in the Mediterranean, a trip that finished up in Athens. Needless to say, my visit to Meteora the first time was absolutely spectacular, and I could only dream of going back... without ever knowing if/when that might happen! I thought it was a bit of a fluke that I was fortunate enough to work on the Sea Cloud the first time. A staff member had to cancel last minute, and I had been working with the expedition leader of the Greek trip while I was in Vietnam so he already knew me and asked if I would be available during the dates of the voyage. I excitedly said yes, without ever expecting to have the opportunity to go back (let's just say the Mediterranean isn't my specialty... so I figured I was just going to be a fill in this one time). Well, as it turns out, it ended up being a great trip and Lindblad and National Geographic asked me to return for another round of trips starting in August. Not only was I delighted that I would be working on Sea Cloud again, and this time with an even more amazing itinerary going up the Dalmatian Coast, but I was also thrilled that I would get the chance to return to Meteora! I scheduled my flights a few days early so I would have time to explore on my own before embarking on the Sea Cloud, and spent another fantastic several days in one of the most beautiful places on earth. This time I came even more prepared than before. I brought about 80 pounds of camera gear with me (think about how fun that was, getting around with all those heavy bags and hauling them up and down the mountain each day to get to my shooting locations) as well as some video equipment. I've become more and more enthralled with the challenge of shooting and editing video ever since I started working with timelapses, and this was the perfect opportunity for me to go all out and shoot at one of the premier locations world wide. Even though it was only a couple days (scorching hot days, all while carrying 80 pounds of gear on my back up and down the mountain multiple times) it was an absolute blast and I walked away with a gleaming smile on my face from the amazing experience of Meteora. So as I've said before, I will say again... I dont know when, or under what circumstances, but Meteora, I will see you again some day! And I look forward to it! As I'm sure you can imagine, I collected quite a bit of footage during my time there (I'm now back in Athens, waiting to board Sea Cloud) but I was able to put together a quick 'trailer' clip from my time spent in this magical place. I hope you all enjoy the following video clip! After an amazing summer in SE Alaska, I had two wonderful weeks off here in Colorado before my next assignment with Lindblad/National Geographic in the Mediterranean. It's been a great vacation, and I was able to spend all my time doing what I love most... playing in the great outdoors! Make sure to click HD on the video link to enjoy it for all it's worth! This is a rare sighting of a killer whale spy hopping in SE Alaska. This behavior is often seen in Antarctica, but rarely seen up north. It was an amazing setting, with the sun going down just behind the ship and lighting up the sky just as the killer whale came up. A killer whale comes up for air with the spectacular Mt. Fairweather range in the background. The Fairweathers rise up over 15,000 feet in just a few miles from the coastline in Glacier Bay National Park! 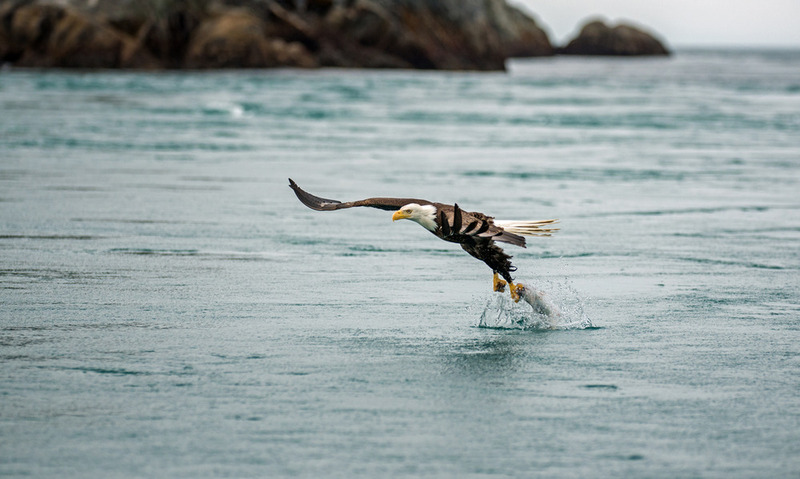 A bald eagle snatches a fish from the water near the Inian Islands. These birds of prey are very skilled at fishing, and sometimes they have been known to catch a fish too big to fly away with and they will actually swim to shore with it! Katmai National Park is well known as one of the best places on earth to view brown bears. It’s rugged, beautiful, incredibly remote, and by all accounts a magical place to visit. I’ve seen photos taken from Katmai since I was a kid, and it’s always been a dream destination of mine. Well, this year has presented me with several amazing opportunities to visit some outstanding places, and working on the National Geographic Sea Lion up in Alaska turned out to be the perfect excuse for me to fly up a week in advance and catch the brown bears at the peak of the season – just as the salmon start migrating up river to spawn. This is by far the most spectacular time of year to visit (mid-July) because the bears are hungry, and spend most of their days fishing in the river. There’s nothing more exciting for a wildlife photographer than to watch as a one thousand pound brown bear dive in the water and pull out a 10 pound salmon, only to devour the entire fish whole within a few seconds. Amazing! The trip started out with several flights from Denver to Katmai… four to be precise (Denver – Seattle – Anchorage – King Salmon – Katmai). A long and tiresome journey, but one of the most beautiful flights paths in the world as I continuously stared out the plane window to admire the rugged Alaskan mountain ranges below. The last hop, from King Salmon to Katmai, was on a float plane, the first I’d ever ridden on. It was very exciting boarding a plane that was floating in the water, watching (and wondering if it could) take off, then landing again on a big lake! Very neat indeed. Landing in a float plane... Fun! First things first when we arrived in Katmai – bear school with the rangers. We sat inside the visitors center for 20 minutes listening to safety procedures in the park, and what to do in various situations should a bear get a little too curious and approach one of us. Next I set up my home for the next week (my small one man tent), and excitedly toured the area to orient myself with the landscape and the park. There is one main pathway that runs through the entire park and ends up at a big wooden platform about two miles from camp, and this is where most people spend their days watching the bears. Being the adventurous type that I am, I wanted to stray away from the rest of the photographers and try to get off the beaten path. The excellent platform where visitors can watch safely from an elevated distance left me feeling a bit like a trapped sardine. I figured it was time to try something different. Earlier in the day, I had seen several fly fishermen in the area wading through the water in search of the best fishing holes, and I figured that if I could get down to their level, I would have the best chance at getting some amazing photographs. I went to the lodge asking around in search of waders, an essential piece of gear for anyone looking to go chest deep in the fast flowing water. When I finally got my hands on a pair of river-waders, I packed my camera bag and walked out to the water’s edge. There were already a couple of bears scattered around the river within sight, and I have to admit… it was a bit of a gut wrenching feeling knowing I was about to walk out where these massive creatures were gorging themselves on salmon, in hopes that they wouldn’t take too much notice in me. This bear was pretty funny... While other bears were running around catching all the salmon they possibly could, this guy would sit in one spot for the entire day, waiting for salmon to come to him. He turned out to be pretty successful! A bear charging at you full speed is a scary experience... not recommended! But these are the experiences that keep me going. These are the moments I live for, and being out in the river with those bears, rather than crammed on a small wooden balcony with 40 other photographers, was exactly what separates me from the majority of those around me. Yes, some people probably call me crazy, but I try to think of it as getting in touch with nature, and living a more pure and wild lifestyle in touch with the natural world around me. If my time comes, then my time comes, But at least I wasn’t crammed on that viewing balcony with a herd of other people when it does! The wildflowers were beautiful during this time of year. Two days … That was my window of time between Greece and Alaska. I flew home, and quickly ran out to purchase as many natural history books and wildlife guides as possible. It was a frantic race against time to learn as much as I could in the short window that I had to prepare myself to be a naturalist for the season up in Alaska. It felt a lot like cramming an entire college semester’s worth of information in just a weekend. Needless to say, it was pretty stressful, and there wasn’t a lot of sleep to be had. When I was finally up to speed on my plants, mammals, birds, fish, geography, geology, oceanography, glaciology, and history of the region (yes… we have to know everything!!!) it was time to hit the road and make my way to Juneau. Early morning cruising... great for spotting whales! Although I’ve worked on Alaskan ships before, it was always in a different capacity. I’ve spent time as a fisheries observer collecting data on commercial fishing boats out of Dutch Harbor – an incredible experience in itself. But never had I visited the inside passage before, one of the most spectacular and biologically diverse locations in all of Alaska. As any biologist would be, I was incredibly excited to be visiting the remarkable inside passage (the string of islands along Southeast Alaska), but I was also a bit anxious about the wealth of knowledge I would have to learn to be a sufficient naturalist on the boat. I’m a firm believer in hands on learning though, and so this first week on the ship was an excellent crash course as I was able to go on extended walks with our experienced field staff, embark on zodiac cruises with the naturalists, and listen to the fantastic lectures in the lounge as I prepared myself to take over the naturalist role in the next few weeks here. Today is our turnaround day – the guests from this previous week are on their way back home and our new group arrives today so I look forward to another amazing week on the National Geographic Sea Bird, and can’t wait to lead some of the forest ecology walks and zodiac cruises myself! Should be a great trip ahead of us! Years ago, when I was scouring the internet for the best places in the world to go rock climbing, I stumbled across a single photo that left me in awe. At first, I didn’t think it was real… maybe some sort of advanced photoshop job. It was the most unbelievable scene I’d ever discovered. In the photo, the sun was setting over a small village in a valley surrounded by massive rock mountains, many of which were laden with stone monasteries on their peaks – an unbelievable feat of architecture. After studying the photo some more, and then googling the location, I came to realize that there actually was such a place on this earth. Its name: Meteora. I was mesmerized by the image. At sixteen years old, I was trying to come up with any sort of means to fly out and visit this small village in Greece. But wrapped up in school and other aspects of everyday teenage life, I was never able to make the trip. Fast forward to two months ago when I got the phone call asking if I would like to work on one of Lindblad/National Geographic Expeditions charter ships in Greece and Turkey. The Sea Cloud is a legendary ship on her own, not to mention the added bonus that she was sailing in the Mediterranean, a part of the world I’d never visited before. Not a second passed, and I immediately accepted the position. The next day I was already looking at flights, and it dawned on me that this was my chance to visit the legendary Meteora; a place I’d wanted to visit for years. I planned my trip to spend a couple extra days in Greece at the tail end, that way I could catch a train up north and travel a bit on my own after disembarking Sea Cloud. 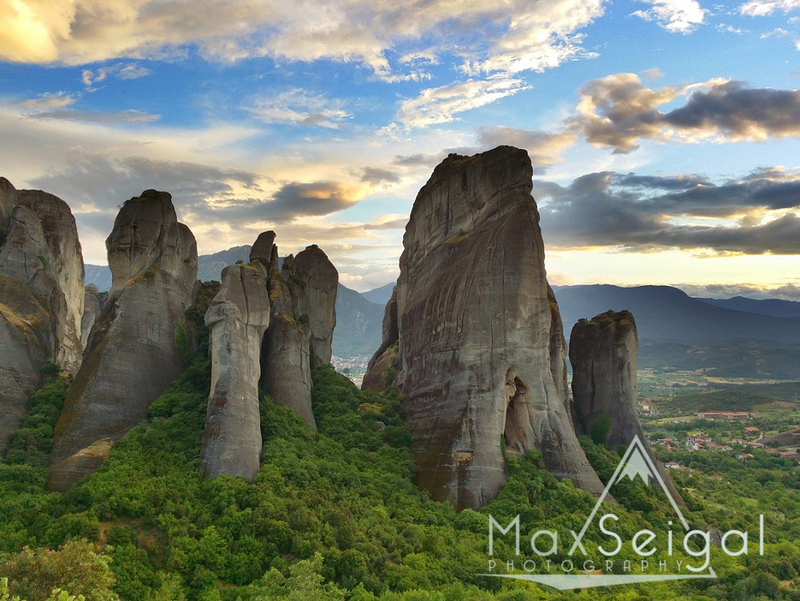 Simply put: visiting Meteora was the best two day trip I’d ever taken. The little known town is an absolute dream come true for a mountain lover like myself. After being stuck on a ship for the past three weeks so it was a warm welcome to be able to stretch my legs on the many trails that led up to the various peaks. And not only were the hikes great, but the views from the summits were breathtaking. In fact, I would go so far as to say that in all my days hiking and climbing around the world, I’d never in my life seen such a beauty in nature. Watching the sun set across the distant valley, the final rays of light peeking through the clouds and painting the surrounding rock walls, each with their delicately perched monastery on top, glowing red and fading to orange as the day concluded… it was truly a magical experience. If there is a heaven on earth, then surely I’ve found mine. Never before had I been somewhere where I could conclusively say it was the most beautiful place I’d ever seen, until visiting Meteora. And with that, I’m already back on the train heading to Athens – my trip here in Greece is finally coming to an end. Short and sweet, and I’m fine with that, but one thing is for sure... someday, sooner or later, I will find my way back to this incredible land of enchantment. My GoPro hard at work, collecting timelapse footage! Those videos are yet to come, once I have time to get everything processed! Starry, starry night. It was hard convincing myself to hike the 12 mile round trip to the summit to get this photo in the middle of the night, especially after being thwarted away the night before by cloudy skies after making it half way up the mountain! But having never seen an image of Meteora at night, I knew this one would be unique so I sucked it up and put on my hiking shoes. Turned out to be a beautiful, clear night! It’s been years since Sea Cloud has been at sea during gale force winds, and I was one of the lucky ones to witness it first-hand. The day started out as most days do…moderate winds from the south, with gusts of five to ten knots. The forecast predicted the winds would pick up in the afternoon to fifteen knots max -- nothing to get excited about. After breakfast, the captain gave the order to set sails and all sixty five deck crew strapped up to climb the rigging and prepare the sails for a calm day at sea. From start to finish, it takes over an hour to prepare the ship for setting sail. This is because Sea Cloud is one of the last hand-sailed square riggers in the world, which means each and every sail on her four masts have to be lashed down and untied by hand – which requires the crew to climb over 1,000 cumulative vertical feet (taking into account the four masts) before the sails can be unfurled and set into place. It’s an amazing display of dexterity and agility as the men and women climb around the rigging, through ropes, lines, jibs, masts, sails and everything else that becomes an obstacle during the process. Once we were finally under way, we enjoyed a great morning of excellent sailing weather. After lunch, however, an easterly front changed course and began heading our direction. The winds began picking up… 15 knots, 20 knots, 25 knots… nothing the ship couldn’t handle, but nevertheless strong enough that the captain had to consider taking down the sails should the wind continue to build. By the time he gave the order to take the sails down, the winds were a blustery 35 knots. Any line that was not tied down was flapping violently in the wind, and hauling the yard lines (usually a four man job) now required twelve men to secure to the deck. One of the deck lines that wasn’t secured cracked like a whip in a gust of wind and nicked the back of a crew members leg, slicing through his pants with ease, leaving a large gash behind. Once all the sails had been furled, it was time for the most dangerous and terrifying job of all… climbing the 250 foot masts (without clipping in by the way – there are no safety lines for the crew to clip in to as they climb) We all watched in astonishment as the sixty five men and women braced themselves for a climb they would not forget. At this point, winds were picking up to 40 knots and the boat was beginning to keel in all directions, succumbing to the forces of both water and wind. It was an incredible operation as the crew climbed the rigging and secured the sails that were now flapping violently in the wind, and a relief that there were no injuries along the way. For the rest of the evening we hunkered down as winds continued to pick up, reaching speeds up to 65 knots, and waves crashed down on us from every direction. The Sea Cloud is an incredibly stable ship; without a doubt more sturdy than any other ship I’d ever been on, but even then it’s stability was no match for the massive swells that would send anything that wasn’t lashed down flying in the air. More incredible than the storm though, was the sunset that followed. 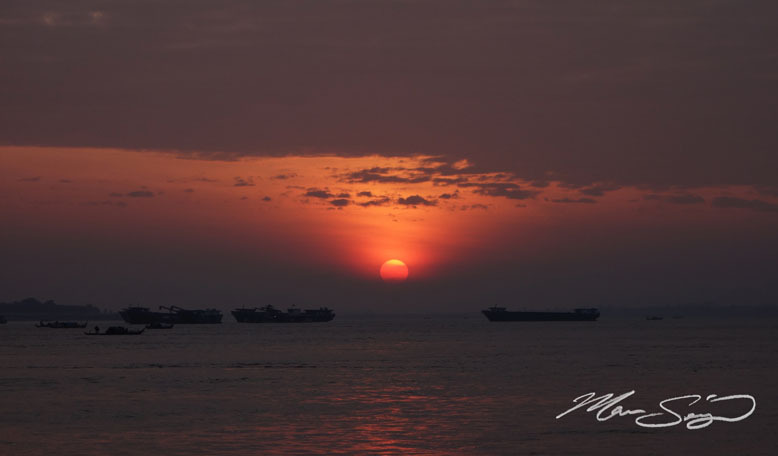 As we continued to ride out the rough seas and relentless wind, the sky began to clear just as the sun began to go down. Minutes before the last light of day, the sun dipped below the massive storm clouds and lit up the sky in every direction, revealing an incredible rainbow behind the stern of the ship. Because of the intensity of the sun at that moment and the storm that had just passed, it was without a doubt the brightest and most intense rainbow I’d ever seen, an absolutely incredible sight. For several minutes, the sun continued to drop over the horizon, and with each passing minute the sky became more and more vibrant with explosive reds, oranges, and yellows reflecting off the clouds and also the water below. It was an unbelievable day at sea, one that I surely will cherish forever…. Sea Cloud is one of a kind... she's one of the last hand sailed square riggers in the world, and by far the most elegant. Square riggers are basically sailing ships where the sails are carried on horizontal spars which are perpendicular to the masts. While they were once very popular, they have largely been replaced by traditional sailing ships with the sail running vertical to the ship (a much more efficient way of sailing) and thus only a handful of square riggers remain, and those that do are machine operated. Sea Cloud, on the other hand, is unique in that she is completely hand sailed - meaning there is a crew of 30 + men that have to climb the riggings every time she either sets sail or takes down her sails. It's an amazing show to watch, and unbelievable how much work is involved to maintain such an elegant ship. It's been an amazing experience sailing the Mediterranean aboard Sea Cloud this last week, and I'm very excited for the next two weeks as we continue to set sail across the Greek Isles. We just arrived in Athens after a week of cruising, and we're now taking on some provisions before heading back out to sea for many more adventures to come. As a photographer, this is a dream trip... I've enjoyed every minute of every day, and I often find myself wishing there were more hours to the day! Unfortunately internet is very limited on board, and I've been very pressed for time so this blog post will have to remain brief, but I wanted to post a few images from the last week for all of you who've been dying to see what I've been up to. More to come later as I find a more reliable internet source off the boat, but in the meantime, enjoy these photos from the beautiful Aegean! As with any profession, we tend to specialize in the genre of photography that most interests us. In my case, I started my photography career years ago in the savannah of Africa by scouting and shooting photos of wildebeest, lions, buffalo and anything else with four legs. I absolutely loved the process of waking up early each morning, hiking miles out into the bush searching for the animals, and then tracking them throughout the day to photograph them in their environment. I was in my element, alone, surrounded by nature, and miles away from civilization. In the early years, I was in many ways ‘just a wildlife photographer’. In fact, in those days, even landscape photography scared me. 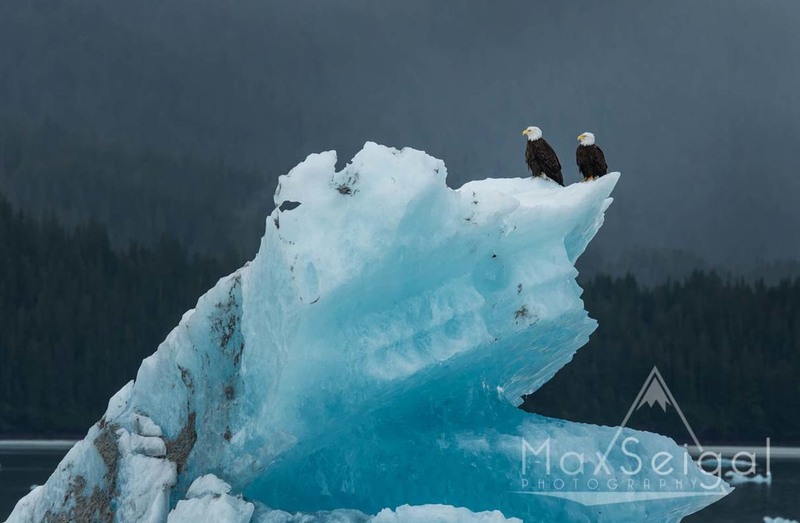 But over the years I’ve developed a love for all kinds of nature photography, and I’ve mastered the art of both wildlife and landscapes through endless trial and error, experimentation, research, and dedication to the trade. Even to this day I find that I am learning new techniques every single day I go out shooting, which only reinforces the notion that one never truly ‘knows it all’ in my mind, but again I always enjoy the challenge of pushing my intellectual and artistic abilities when shooting (another reason I love night sky photography! I find it one of the most difficult forms of photography, and thus a very appealing one). So where is this all leading? Well, as I’m sure everyone is well aware of, Asia has no shortage of people. 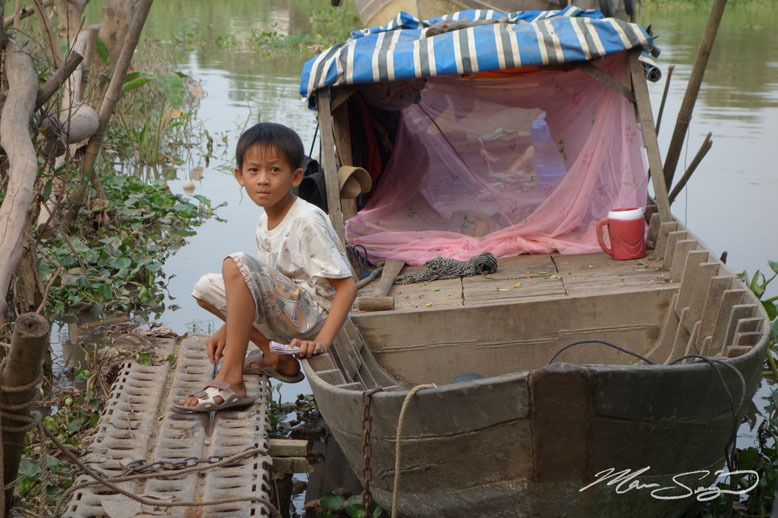 The Vietnam and Cambodia trips that I lead are very, very different from any kind of photography I’ve ever done before. 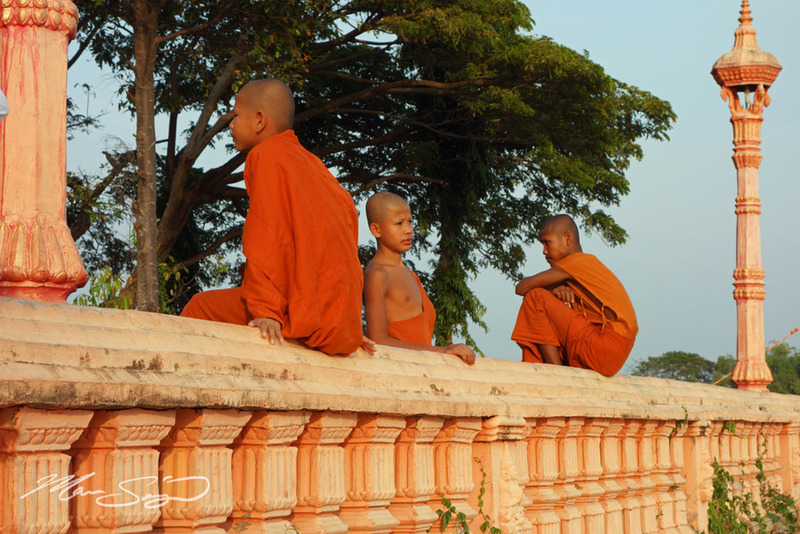 More than anything, these are cultural trips with very little to no nature at all. So when I lead these photography expeditions with Lindblad/National Geographic, I am very much pushing the boundaries of my comfort zone. Stick a penguin in front of my any day, but the moment there’s a person in front of my lens it’s a whole different ball game. It may sound strange… after all, why would taking a portrait of a penguin be so different from that same portrait of a person? Well, in my mind, it’s all about representing what’s real. This, however, is something I struggle with when photographing people. An animal won’t react when your lens is pointed straight at it – it just continues doing whatever it was doing. Humans, however, are aware the moment the camera is on them, and everything changes. Their body language, their facial expression, their mood, their self-awareness… no longer are you capturing an accurate representation of the moment, but instead the scene has been manipulated the second your camera meets your eye. This is the biggest hurdle I’ve faced when it comes to people/portrait photography… making people feel comfortable, making them forget there’s even a camera, and recreating a scene the way it was before I even arrived. So what does this require? Well… usually a lot of patience. It’s hard to take someone who is camera shy and tell them to ‘not be camera shy’. Instead, by hanging around, casually taking a photo now and then, chatting with the people, spending some time with them, and making them feel comfortable with me there, they open up completely and forget all about being photographed. Anyways, long story short, I’ve spent weeks tracking herds of animals, been nearly been trampled by elephants, climbed incredibly high peaks, hiked through the night for perfect stars, waded through waterfalls, and have even crawled on hands and knees through penguin poo to get the perfect shot, but THESE portraits and people shots are what I consider to be some of the most challenging photographs I’ve ever made… So enjoy!!! And just to try something new, I spent some effort trying to brush up on my black and white skills, a project which was great fun for me. Only a few days left in the Mekong, I’ll be sad to say goodbye! This 12 year old at the village was great, her subtle smile completely drew me in. Morning ox cart ride. What a fun way to get around! Mekong River - Take Two! It’s been another tremendous week on the Mekong. 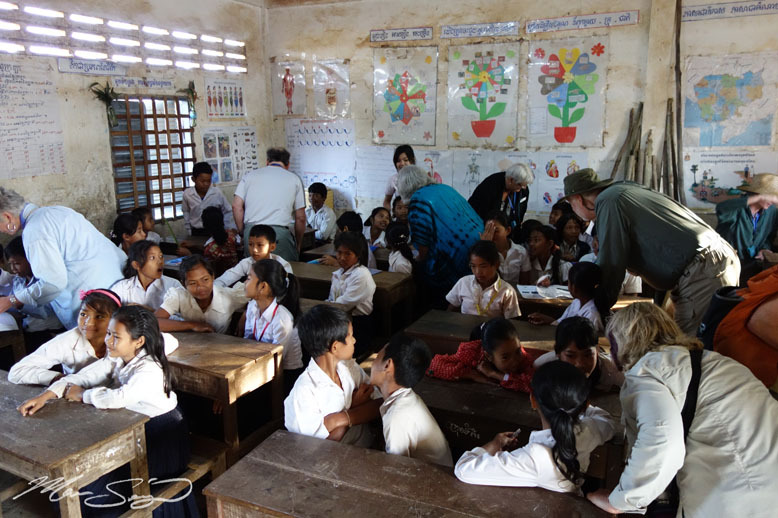 We’ve been experiencing the river life to its full potential through a flurry of activities ranging from bumpy ox cart rides, exploring small villages, beautiful river cruising during sunsets and sunrises, and meeting local people as we make our way up from South Vietnam to central Cambodia. The heat has been building up these past few months, and the days are noticeably hotter than when I was last here in January. We take advantage of cool mornings and afternoons by planning our excursions during these times, while spending the majority of the mid-day cruising the river. 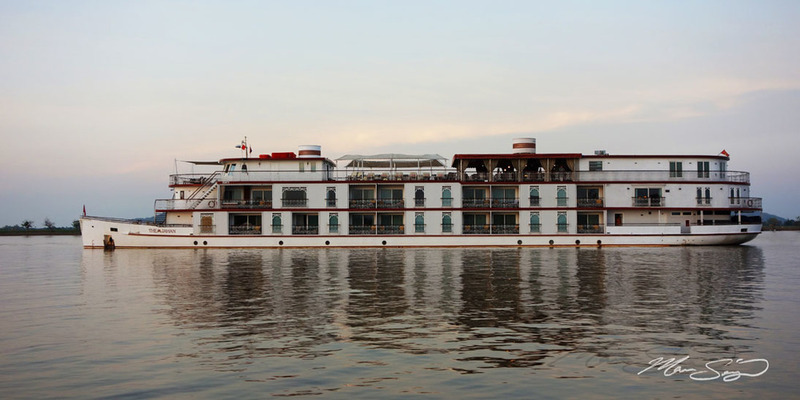 Today is our turn-around day – the guests onboard will drive up to Siem Riep to explore Angkor Wat while a new group will join us for the remaining portion of the cruise down river. While this last group was phenomenal, I always look forward to meeting the new faces on board, so today will be very exciting. The crew are frantically cleaning and scrubbing to bring the ship back to tiptop shape, but I enjoy a lazy afternoon off as I wait for the busses to arrive. Heading down river marks my fourth trip out here, yet the scenery continues to change and the experiences are always new and exciting. I can’t see these marvelous countries or cultures ever getting old, and I’m always so happy to return. Looking forward to another great trip down river! I just returned from a fabulous ten day trip to California to photograph Yosemite and the west coast. I packed my bags expecting a good amount of snow in Yosemite (it is, after all, winter time...) and to my surprise, I was greeted with warm temperatures and no moisture whatsoever. It was rather disappointing to be honest - I was excited to camp out in the back-country and capture some beautiful winter scenes but instead had to make do with the dry, rather barren looking landscape. Even the many waterfalls that peak their flows during the winter months had almost run dry. It was sheer luck that it had rained the week before I arrived, providing any water at all. Rumor was that every waterfall was bone dry the before it had rained. Knowing that there was at least some water flowing from the falls, I prepared myself for a spectacular phenomenon that only occurs a few days a year from about February 15th - February 21st: the Yosemite Firefall. It is during these six days that the angle of the sun is just right to light up Horsetail Falls with the last orange glow of daylight. Not only does the Firefall only happen a few days a year, but the conditions during February are almost never ideal for spotting this amazing sight because it happens to be one of the cloudiest months of the year and often people will stand around every single day waiting for the sun to peep out only to be thwarted away without ever having seen the firefall. I was very fortunate that the day I arrived, the skies were clear, because the rest of my trip there was cloudy and the firerfall never came out again! Unfortunately this is the third year of California's drought, so the falls were pretty weak, but it was still an amazing sight nonetheless! The spectacular Yosemite Firefall, which only occurs for a brief window of a few days each year if conditions are right. After leaving Yosemite, I spent several days driving the coast and capturing some amazing sights along the way. I made it as far south as Big Sur (beautiful!) before heading back up to San Francisco for some final shots of the Golden Gate Bridge. Camping out along the way was fabulous - the stars we stunning along the coast and the weather was perfect. It's always a struggle to leave the coast, as it's one of my favorite places to shoot. I always fly away with a burning desire to stay longer... looks like I'll just have to plan another trip out West soon! This was a pretty serendipitous shot... I had set up my camera before crawling into my sleeping bag for the night, and had it firing through the night for a time lapse. Unfortunately, the moisture in the air from the crashing waves condensed on the front lens element and caused a lot of foggy, blurry images. A few of the shots, however, were affected in a positive way. 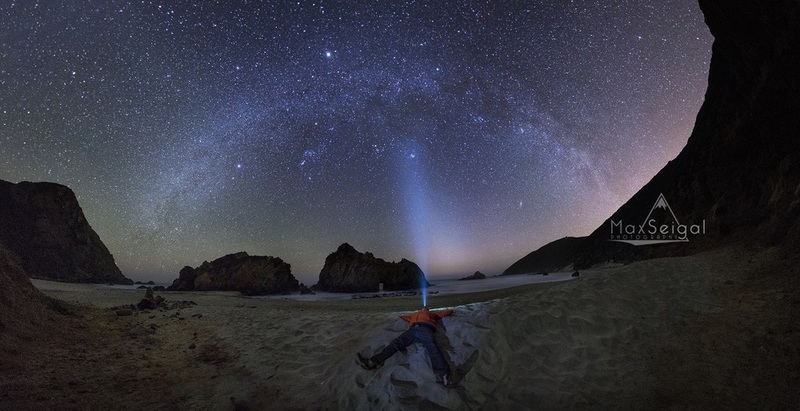 In this image, the fog on the lens actually created the streaking around the brightest stars. Orion is practically jumping out of the picture, its amazing! I'd never seen this before, I was actually pretty thrilled with the end result! 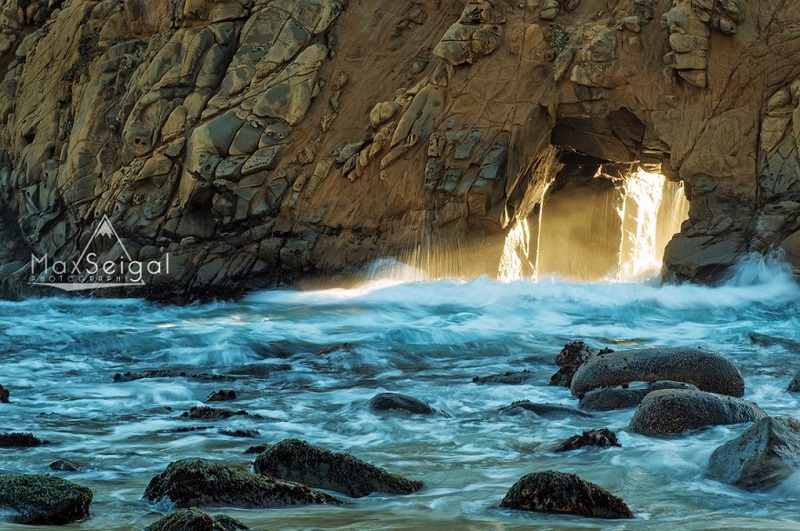 The last light of day shines through a hole in the rock as waves crash all around. This was a really fun location to shoot, I had a blast running around the beach trying to capture the light! One of my final images from San Francisco, the city skyline as seen from Treasure Island. A great one from the coast, I had the idea for this image in my mind and set out at 4am to the bridge to try and capture it. I set up my gear, adjusted my exposure, and waited.... every time I saw cars on the horizon, I clicked the camera. It was really difficult getting the right exposure for this one, I had to make sure the shutter was open long enough to capture the car trails from the end of the mountain all the way to the bridge, without letting too much light in to over-expose the image. Not only that, but every minute that passed the sky was getting lighter and lighter (sunrise was fast approaching) so every time I was getting close to the right exposure, everything had to change again to adjust for the brightening sky! This was literally the only keeper from the bunch, but it was by far my favorite! I'm very happy with the result. In my element - enjoying the crystal clear night under the stars on the California coast. It was the most difficult shot I’d ever created. I sat, huddled in the cave, wondering if the stars would ever creep out on that cloudy night. It was the Milky Way, after all, that I was hoping to photograph that night at the kiva. Midnight…still no stars… 1am, 2am… then I hear something in the distance. Thunder. I look out, hoping my ears had deceived me, and there it was. A bright flash of lightning, miles away, crashing over distant canyons. The first thought that came into my mind – panic. Here I was in a very remote location in Canyonlands National Park, alone in the darkness of night, and a massive thunderstorm was rolling in my direction. Did I have enough time to pack up my gear and run to my car? I waited for the next bolt of lightning, which flashed only moments after the first but seemed much, much closer than the first. The storm was moving fast, there was no way I could outrun it. I had to stand my ground and wait it out. The raindrops started trickling around the edge of the cave, then with almost no warning, rain and hail was smashing everywhere. Lightning began crackling almost directly overhead. It all happened so suddenly…this storm was moving incredibly fast. The wind picked up and started howling, blowing sand, dust, rain, and hail all over the place. My camera was already on the tripod, so I figured I would open the shutter just to see what happened as I curled into a ball to stay dry. I knew the intensity of the lightning would require a much lower ISO than usual for my night shots, so I dropped the camera all the way down to ISO-400 (usually I stay around 6,400 for night shots), and stopped the lens to F5 (usually I’m at 2.8). I had no idea if these settings were appropriate, as I’d never tried taking photos from within the middle of a lightning storm before. Suddenly there was a massive crack of lightning a few miles out, so bright that it lit up the canyon as bright as daylight. I jumped up from where I was huddled, and I knew that if I had any shot to make this photo work, it was now. I grabbed my flashlight, and began light painting the cave. Usually just a few seconds of light is enough, but with my camera all the way down to ISO-400, I quickly calculated that I would need several times the average amount of light needed to properly expose the kiva. I was running left and right, painting everything I could, trying to remember how much light I had applied to different areas in the cave so that the exposure would come out evenly. I had no idea if this was going to work… I had never tried anything like this before! Finally I turned off my flashlight, crossed my fingers, and clicked the shutter closed. I held my breath and clicked the review button on the camera. Unbelievable!!!! 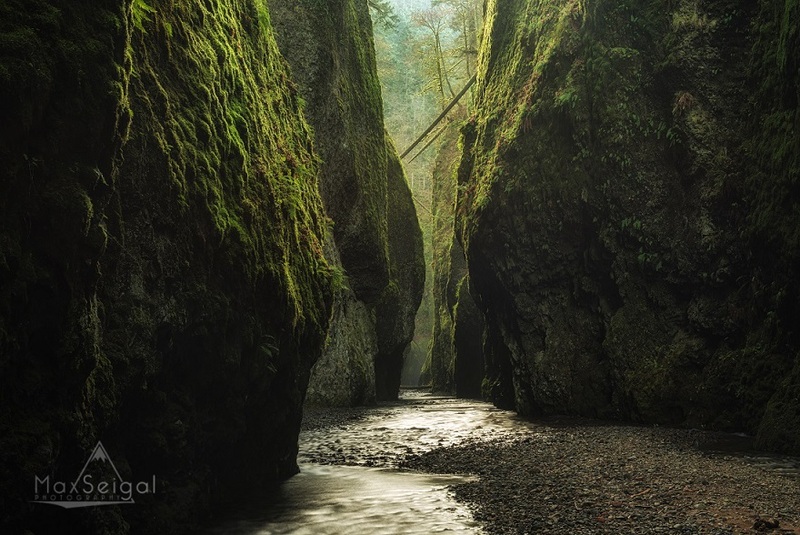 The shot was more amazing than I ever could have imagined… I couldn’t believe my eyes. It was one of the greatest, and most challenging captures I’d ever made. The result of an epic night in Canyonlands National Park. This photograph would later on win second place in the 2013 National Geographic Traveler photo contest, which received over 15,000 entries this year. Waiting patiently for the perfect wave... and trying not to get sucked out to sea while I'm sitting there! These waves were massive! Biggest I'd ever seen. And yes, that little orange blob standing next to the wave is me. Again, battling the waves, trying not to get swept out to sea! This was a super steep and treacherous hike to get down to the base of the waterfall. Not to mention the temps were sub 32 and the mist from the waterfall had all frozen around the trees and rocks, making it a slippery, icy mess to walk over. But the result was beautiful. And I'll leave you all with this one! Hope you enjoyed the Oregon adventure! Thank you all so much for your support and a wonderful year. It's been an amazing journey, and I feel like my photographic vision has grown a lot over the last 12 months. 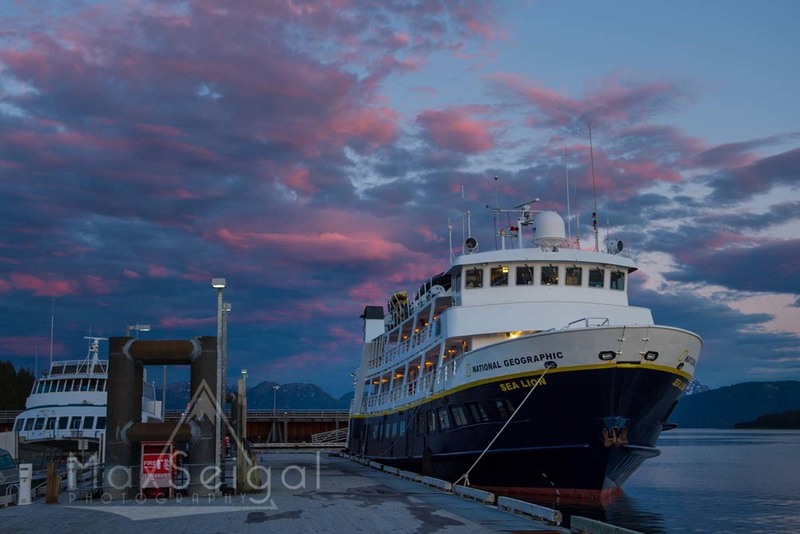 I can't wait to start the next chapter of my career working with Lindblad/National Geographic on their expedition cruises, it's going to be a blast! January 6th - the journey begins. Vietnam and Cambodia, here I come!